As the healthcare industry becomes increasingly consumer driven, healthcare marketers are under enormous pressure to deliver personalized experiences across media that merge individual’s lifetime engagement data with their real-time actions and behaviors. The study found that the reason marketers are struggling to deliver data-driven customer engagement is because there is a gap between strategy and execution. 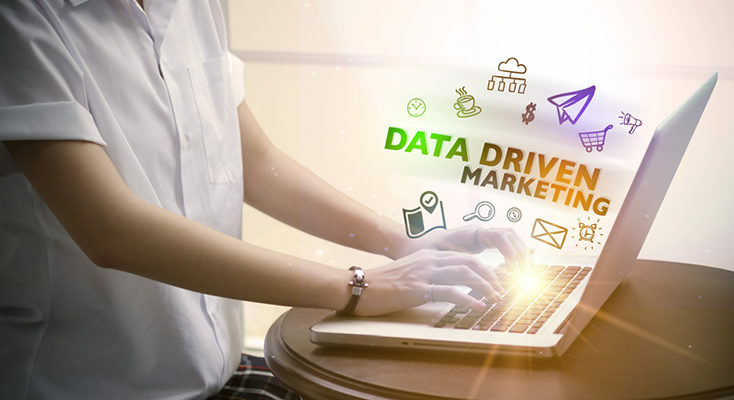 So what’s keep marketers from getting their data-driven strategies off the ground, despite there being a multitude of data, analytics and engagement systems available? Organizations are investing heavily in their technology stack in order to develop engagement capabilities, with 42% of marketers reported to have installed more than 10 individual solutions over the past five years across marketing, data, analytics or customer engagement technologies, and 9% having installed more than 20 individual solutions. As they do so, their strategies, processes and requirements evolve, and so marketers continue to remove and replace solutions, with 44% indicating they have spent more than 25% of their budget on replacing existing technologies. Yet despite this investment in the implementation and removal of various solutions, only 3% believe these solutions are connected and aligned across systems. With there being little synergy between systems, it is difficult to connect the data dots, and this fractured system landscape is severely impacting marketers’ ability to develop a single view of customers from which rich insights can be derived from. What marketers need to do is stop ripping and replacing their platforms, and instead work to establish a strategy for building a best-of-breed model of technologies and platforms where all systems seamlessly flow data through one another as an integrated, holistic system. In order to create truly connected experiences, businesses need to define a clear owner of the data-driven customer strategy. Of the marketers surveyed, 78% agree that the CMO should be the lead owner and driver of the data-driven customer strategy, as they carry the most customer intelligence, deepest understanding of brand and sit at the intersection between customers and business. However, only 19% are actually charged with the full responsibility of developing the customer strategy today, with just over half reporting that they are developing customer engagement strategies through individual teams, and 23% reporting that they are being developed ad hoc by a multitude of disconnected teams throughout the organization. Similar to the disjointed state of the technology infrastructure, marketers are dealing with a fragmented and fractured data foundation that fails to connect data into actionable intelligence. This is in part due to the fact that so much marketing focus has been placed on trying to align technology systems. As a result, only 15% of marketers believe that their data currently enables the organization to deliver highly personalized experiences in real-time. Additionally, 30% cite the silos of data as having broadened the strategy-to-execution gap. The study evidences how marketers are not having trouble collecting data, they are having trouble integrating it into current engagement platforms in a manner that delivers a unified customer view from which actionable insights can be garnered from. There are a lot of internal factors that can hinder the implementation of a company’s strategy. Inadequate budgets (54%), failure to embrace a customer-centric culture (43%), and lack of senior-level support (32%) are the top three obstacles. However, a lack of cohesion across departments can also cause problems. When each department has its own customer engagement agenda, then the result is a series of disjointed strategies. According to the CMO Council and RedPoint Global report, 28% of respondents say that individual teams across the organization develop their own customer engagement strategies in disconnect from other groups. While 1:1 customer experience remains a top priority for marketers, the ability to deliver personalized experiences in real-time is hindered by fragmented technology, teams and engagement systems, as well as a lack of a solid data foundation or defined leader to drive the data-driven strategy forward. Until these gaps are resolved, organizations will continue to fall behind customer expectations and might find their customers diverting their loyalty elsewhere, to the fast-movers who refined their data strategies and the structures supporting them early on.